This notice explains how information about you is collected and used. 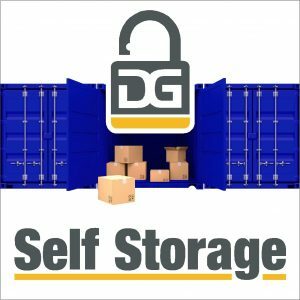 Our website is operated by DG Self Storage and created by The Media Runner. Nicole Phillips trading as DG Self Storage is a ‘data controller’ for the purposes of the Data Protection Act 1998. This means we are responsible for, and control the processing of, your personal information. The person responsible for how we handle personal information is Nicole Phillips. Children We do not knowingly collect personal data relating to children under the age of 16. If you are a parent or guardian of a child under the age of 16 and think that we may have information relating to that child, please contact us at unit 38 Barncoose Ind Est, Pool, Redruth, TR15 3RQ. We will ask you to prove your relationship to the child but if you do so you may (subject to applicable law) request access to and deletion of that child’s personal data. We gather information directly from you and also via our website. If you visit our storage facility, some personal data may be collected from monitoring devices and systems such as our closed circuit TV (CCTV). We would like to send you information by post, email, telephone, text message (SMS) about products and services such as competitions and special offers which may be of interest to you. We will ask whether you would like us to send you marketing messages by asking you to tick the relevant boxes when you come to our storage facility to sign a storage agreement. Our website may contain links to websites and applications owned and operated by other people and businesses. These third party sites have their own privacy policies and use their own cookies and we recommend that you review them before you provide them with personal information. They will tell you how your personal information is collected and used whilst you are visiting these other websites. We do not accept any responsibility or liability for the content of these sites or the use of your information collected by any of these other sites and you use these other sites at your own risk. We will hold your personal information on our system for as long as is necessary for the service you have requested or for the length of time set out in any contract between us, unless you have told us you want us to remove us from the system (see section “Right to be forgotten” below). This may be up to 5 years. There may be a small administration fee for this service. You can ask us to delete the data we hold about you in certain circumstance. You can do this if it is no longer necessary for us to hold the data for the purpose it was collected (for example if you are no longer a customer), or if we are using it without your consent or you have to ask us to delete it to comply with any of your legal obligations. If you wish to contact us please send an email to dancvc@googlemail.com or write to us at 38 Barncoose Ind Est, Pool, Redruth, Cornwall, TR15 3RQ or call us on 07909531976. Existing/new customers – Correspondence consent detailed on the self storage licence agreement – customer opt in for text (SMS), email, post, telephone contact.